The iOS application and game development training help students to become experts in iOS based developers with the knowledge of latest tools like XCodeswift and Swift. All iPhone and iPad applications and games are developed for iOS. With a user base of 1 million users and expanding, the demand for iOS developers has increased substantially especially in the first world countries. The training starts with learning about the iOS operating system and how it works followed by Objective C and then gradually moving on to more advanced and more powerful tools like Cocoa Touch, Swift, different iOS SDK libraries that have been developed by Apple. Since the interface is an important aspect of iOS app and game development the students are trained on the basics of UI designing and animation for mobiles. As part of the course, students develop an iOS application or game under the mentorship of an experienced iOS developer. Being an iOS programmer these days is a sure way to have a promising future coder as Apple is giving a huge push to iOS by making it a desktop operating system as well. Industrial training in iOS app and game development provides an opportunity to the students to practice the skills they have acquired in various areas of iOS development like Swift, Core Data, Networking and iCloud development. The iOS training in Dhakoli trains students on how to leverage Swift’s new language features in actual iOS app and game development. The students are also encouraged to develop extensions to extend Swift’s functionality while using generics to improve flexibility and power of iOS. 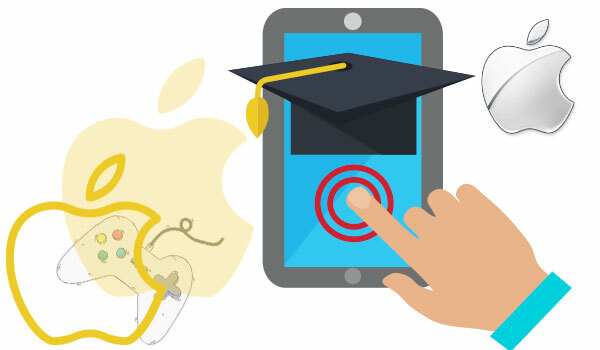 As part of their strategy and future goals, Apple regularly updates the iOS app and game development and therefore it is important that the trainees/students stay informed about the new development and techniques which are ensured by a group of project leaders who have bee developing iOS based games and programs since iOS’s inception.